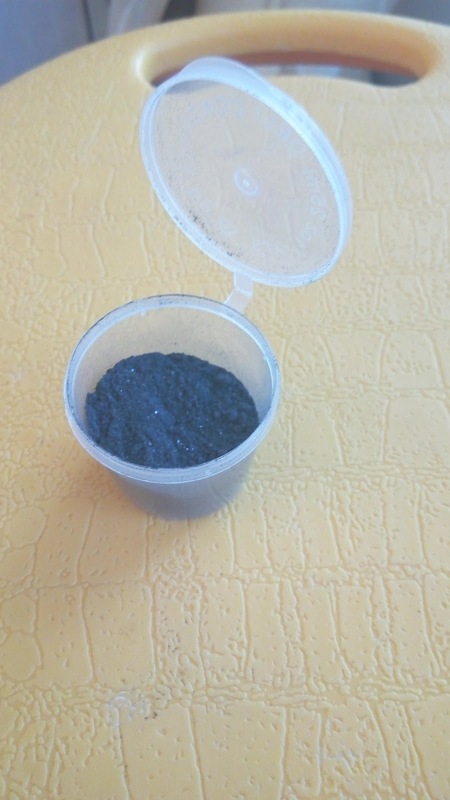 I am selling Homemade Ithmid (also known as Ithmad, ismaad) Kohl stone that prophet Muhammad pbuh recommended,ithmid/lead sulfide. Kohl stone (available) that I am selling is packed in plastic. The kohl is much darker colour in real life. You need to use a steel mortar and pestle to crush this stone. 2) 300g of kohl ithmid powder stone cost 70 euro if you pay with MoneyGram, Western Union, or bank transfer. If you wish to pay with PayPal it costs 110 euro. Ready for use. The weight includes the plastic container. 2) Crush the kohl stone. Throw any white residues. 3) Olive/date seeds is roasted to black colour like coffee beans are roasted. 4) Then the herb shikha is roasted to black colour. This herb and olive/date seeds is believed to be good for the eyes like almond is used to make kajal. 5) Crush the olive/dates seeds and herb. 6) Mix them with the kohl stone. Hi! I'm interested in buying your homemade kohl. Are they still available? hi. are u still using the home made kohl? how do u find it? is applying it a lil messy . or is it manageable? Please give me your feedback, as im thinking of buying it too. Please email me on justcynthiajones atsymbol gmail dot com about the kohl. thank you. Hi I want to buy 2. Are you still selling them? Hi I live in London (UK). I am interested in buying some of your kohl but when I mentioned it to some of my friends saying that it was handmade in Algeria they all requested some as well! So I will have to place a multiple order! Also can I ask how long will the kohl keep for before it becomes expired? Can it be kept for 1 year or more and not go stale? I have sent you a private e-mail also so I look forward to your reply. - Is this Ithmid that the prophet(saw) talked about? - How would I apply it to my eyes? - Would I also receive an application tool along with the kohl? - Any extra info would be extremely helpful. hi. are u still selling this home made kohl? i am from india, new delhi. Yes this kohl (lead sulfide) kohl was used by prophet Muhammad saw. These are videos talking about it https://www.youtube.com/watch?v=z80Z8kNv3H4 and https://www.youtube.com/watch?v=PKg3v_Bdn4Y .Yes you will receive an application tool .You apply it the same way as you would apply kajal. How long will the kohl keep for before it becomes expired? Can it be kept for 1 year or more and not go stale? Or can it become contaminated with many months/years of use? I have also tried sending you a private email but struggle to send it to zainulmsia@@gmail.com as it kept saying that it was invalid :( Thank you for your reply. I just wanted to check this is vegan and free from harmful chemicals like parabens etc? hi, yes it is vegan and homemade so it contains no harmful chemicals. I want to buy just the stone and grind it myself inshallah. Do you sell the stone? Salam. I do not have it at the moment. sorry. I'm curious. 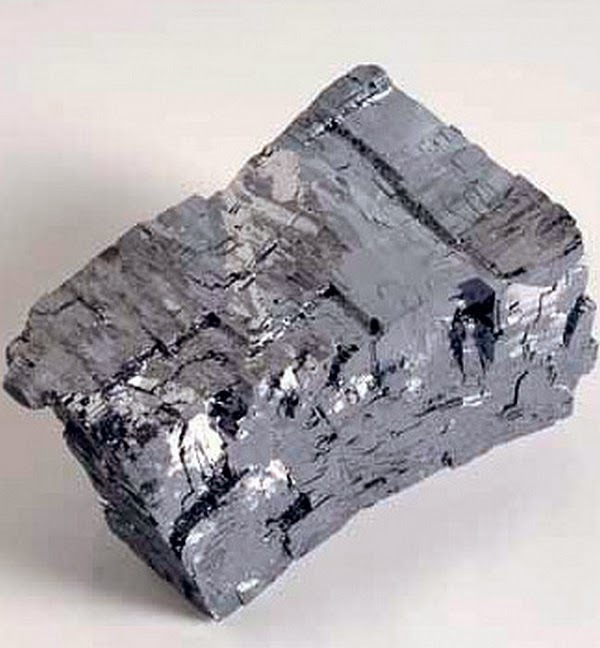 Is Lead sulphide harmful? I did a searched online and some says there might be some health concern. Are you able to advise? 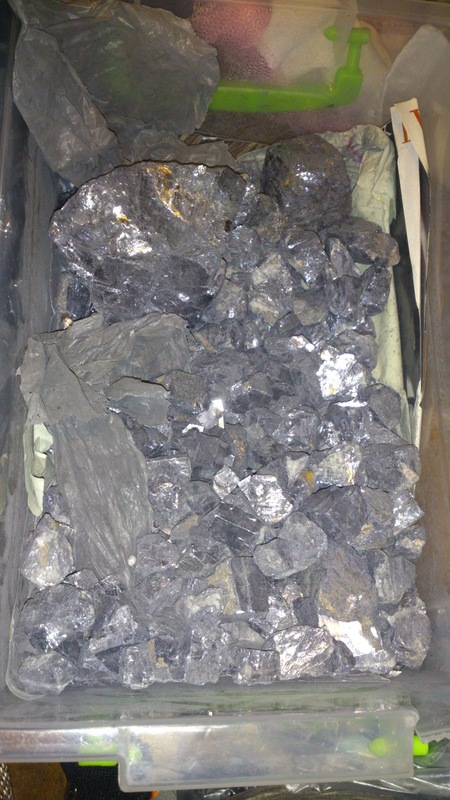 Hi.Lead sulphide kohl is given so much bad reputation for the last 10 years in order to push forward the commercial kohl without the lead sulphide. 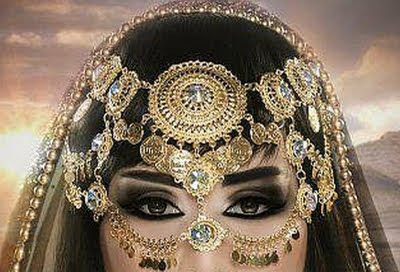 Lead sulphide kohl or Arabic kohl has been used for 4000 years by billions of people as a medicine for the eyes. That is a real world experiment that cannot be surpassed by any modern lab experiment with limited time constraint and limited number of human testers.I made some videos to clear this such as http://www.youtube.com/watch?v=z80Z8kNv3H4 . 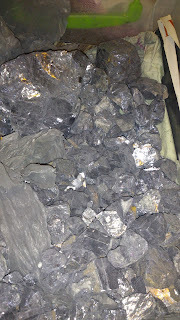 Some lead are not soluble like lead sulfide but some lead such as lead acetate and lead carbonate are soluble and thus harmful for humans because it is once soluble by the acid in our stomach it is absorbable by our body. However cosmetic companies continue to use lead carbonate and lead acetate for hair dyes and lipstick. See my video http://www.youtube.com/watch?v=PKg3v_Bdn4Y on minute 2:56 to see rate of absorption by different kinds of lead. If you have further questions please do not hesitate to contact me. This kohl is owesome. I received after 4 days... I am very happy with my purchase. I'm interested in this kohl, I wanna ask how it looks on the eye. Is it very black or greyish? Now I'm using hashmi kohl, but it's too dark for me, because I'm lithuaniain with bit pale skin. Great then, thank you for your answer. I wanna order it few months later inshaAllah, if you still have some. At the moment I'm abroad. Thanks for all information you sharing about real kohl, you made all things clear for me now (I was worried about lead and so on). I'll contact you soon inshaAllah. By the way one more question, is there any pain or irritation after using your home made kohl? As I understood, there must be some small discomfort after applying real kohl and it healthy for your eyes. But as long as I'm using hashmi kohl, there is no pain at all. Do you have any information about that? can u just crush the kohl stone and use without frying and adding herbs etc..
1: does this kohl help to get rid of red eyes(does it constrict red blood vessels in the eye), i have used antimony sulphide (kohl) before and that does help with red eyes, but would like to know if this (lead sulphide kohl) would help..
2: regarding the frying of the stone to get it purified , do i have deep fry it, or use just a bit of oil to fry it from each side, and then do i have to leave it in the oil for 2-3 days or keep it out in a separate container after frying... and which oil will be preferable for frying? 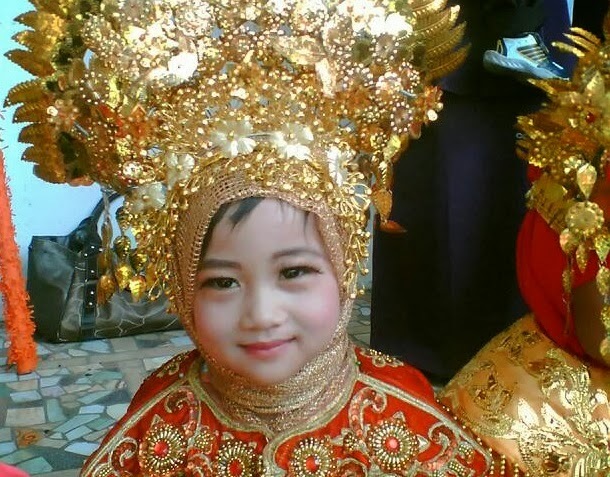 and finally i am from KASHMIR, INDIA, can you ship it here and can i make the payment through PAYPAL? I purchased mine from health means wealth and it said that its made from antimony so I was unsure whether its the right one. Therefore I wanted to buy your homemade ithmid as your one seems more convenient. Thank you for replying. I have replied to your email. The shipping is included with the price of kohl. Salam. Is the lead sulphite stone still available?? Assalamalaikum..I would like to buy this homemade kohl. Is it in stock? I tried mailing you but your email id does not seem to work.. I received kohl which I ordered from you recently on eBay, what is the method of application? Should I dip the stick in water before dipping into the powder since the powder doesn't stick to the wooden stick. Hi :D! Yes, you can deep it in watér if you find the kohl doesn't stick to the appoicator so much. Hello, I wanted to know if u deliver this kohl to Pakistan. And does it improve weak eyesight? Saya berminat utk beli celak ini. Masih ada stok lagi ke? Saya ada di Malaysia. Saya nak bayar using bank transfer. I want to ask you could you differentiate between antimony stones , which one is healthy to our eyes ??? Also pls tell me how to buy it and when can u send the surma? I can pay online with debit card. Pls tell me the hadiya for surma. Thanks. I will wait for your reply. Assalamo alaikum. 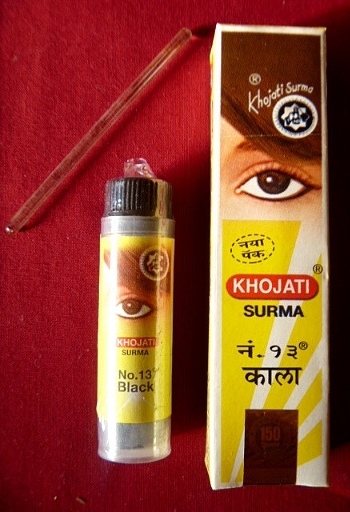 I am from India I need some information about above mentioned surma if possible plz contact me. mohammedsiddiquiya@gmail.com. I would like to buy your Kohl. I just bought one yesterday from healthwomen . uk but they called it antimony and it says it has zero lead. After watching your video and reading a yahoo answer you made I'm left confused. Is the Kohl I bought not real? Is antimony wrong? I'd like to buy your homemade kohl. I sent you the money sister. When will you deliever the kohl? please DO NOT use lead compounds (lead sulfide etc) as these are toxic. LEAD and its compounds are TOXIC to your health. Sister, please research this matter before you unintentionally cause people health issues. Salam. i recently bought the saudi madinah kohl (like the photo you posted above which is unavailable). so i was wondering if it shouldnt have hurt the first time i use it? people says usually it would really hurt (burning feels) when first time using it. but i dont feel any pain at all and the kohl doesnt stay much if i apply 3 times on each eyes. can you help me with this and explain to me why it didnt hurt or why it should have hurt? im afraid it might not be the original one though.. hope to hear from you soon as this is the only website where i think it is really realiable to ask. i'll wait for your reply ya. jzkk. actually im not quite sure if it is the same. i can email you for verification purposes though. really need your help! oh i see.. so it is completely normal if my eyes don't hurt? what about eye discharge? people usually says that after using ithmid you'll have alot of eye discharge it means that the ithmid actually cleaned our eyes. is it true? Hi there, i am in south africa, do you know where i can find the kohl, which is from saudi? Or will you be having it soon so i could purchase from you. You can find it in islamic or arabic shops. I only sell kohl stone at the moment. ^_^. Ok cool, thanks. Any specific locations? Any arabic or islamic shops might sell it. According to my research, the real "Ismad Kohl" is Antimony or Antimony sulfide. It is not lead sulfide. Most online sources that i see state it as "Antimony." It is kind of confusing. Please read the references here. Http://loveallraces.blogspot.se/2010/12/how-kohl-cures-eye-diseases.html?m=1. 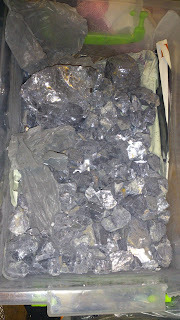 Lead sulphide kohl is given so much bad reputation for the last 10 years in order to push forward the commercial kohl without the lead sulphide. 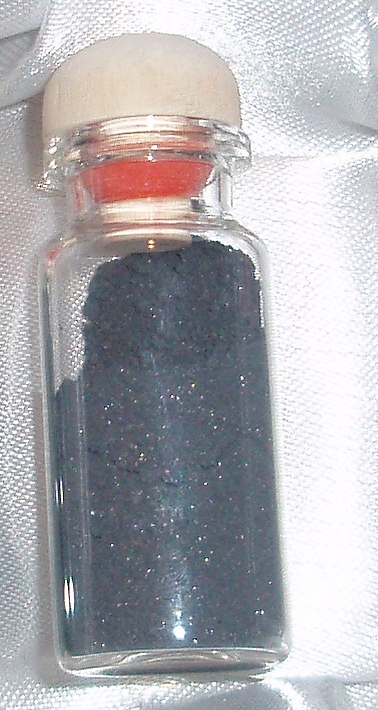 Lead sulphide kohl or Arabic kohl has been used for 4000 years by billions of people as a medicine for the eyes. That is a real world experiment that cannot be surpassed by any modern lab experiment with limited time constraint and limited number of human testers.I made some videos to clear this such as http://www.youtube.com/watch?v=z80Z8kNv3H4 . Can you upload the picture of your Lead Sulfide stone that you sell? I am want to buy a stone from some local shop in my area, but i want to make sure that i am buying the correct stuff. And if i just crush the stone without frying and adding anything in it, will it still be good to use? Okay thanks. Are you still selling homemade Kohl Ithmid? 1) Do i have to deep fry the stone? For how long do you for the stone? Which oil do you fry it in? 2) For how long have you used lead sulfide/Galena Kohl? Has there been any adverse side-effect from using it? Or do you know anyone who has had adverse side effects? Have you noticed any positive changes in your eye health from using it? 3) What is Shikha herb? Is it Adiantum incisum? 4) Do you have plan to sell the homemade Kohl Ithmid in future? Thank you for taking the time in answering my questions. The stone is fried until it turns dark in oil. Yes you can use deep fry or just normal frying in oil. Some fry until it became very black but Algerians fry it only until it changes colour. I have used galena kohl for 5 years and no side effect. I do not know anyone who had any side effect. I do not feel that my vision has improved but I do not use it every day. Only when I feel like it. I do not know the scientific name of the herb. 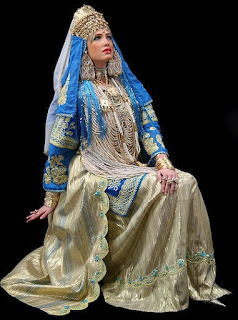 It is used by Algerians but not by other arabs. Thanks for replying. Is there a way to know that the stone you buy is real lead sulfide stone? I have some small bottles of Asmad kohl power from Makkah (Saudi Arabia). One bottle is 15 Grams for 5 Riyals, it is mixed with Zam-Zam and Rose water according to the label. The other bottle is 30 grams for 15 Riyals. The seller told that the 30 gram bottle is pure Asmad. Do you have any experience with Kohl from Saudi Arabia? Is it good and pure? 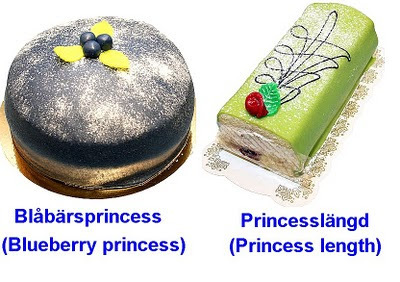 Which one would you like ? 1 piece of kohl stone or 300g kohl stones with the ore mortar and pestle? You can pay me by western union, money gram, bank transfer or paypal. I would like to know where do you buy Kohl Ithmid Stones from? How are you 100% sure it is the real ithmid? Yes i know it is lead sulfide. If i but the stone, is it easy to crush it into powder at home? Or do i need to go to a mill to get it crushed? It is necessary to mix the crushed herb and date seeds in it? hey i want to buy it and im from pakistan and does it really improves eyesight ?? Hi, I have the stone. 1. Which oil should I fry it in? 2. How long should I fry it for? i am interested in powder ithmid kohl.